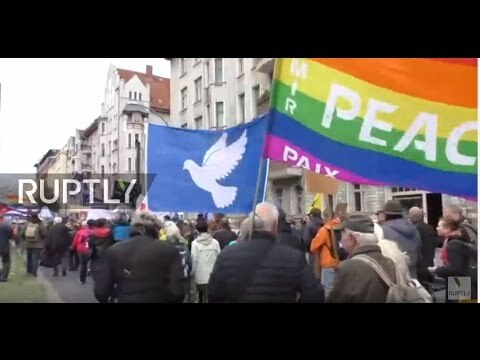 Ruptly was Live from Berlin, Germany, as thousands are due to participate in the ‘Peace Demonstration’ on Saturday, October 8. The nationwide protesters demand a pacifist German foreign policy, advocate a pulling out of NATO and wish to promote the disarmament of Germany’s military. The organisers are also rallying against German arms exports, which almost doubled in 2015. The value of individual approvals granted for arms exports was 7.86 billion euros ($8.75 billion) last year.